On a compulsion, you’ve purchased a sewing machine and now it’s just sitting there screaming “use me.” The problem is that you don’t know where to start. Sure, you can make a pretty dress or a pillow case for your niece, but you have no idea what any button or feature really does. Sewing is an art, and you’re not born knowing what backstitching is or what a bobbin even means. I’m going to tell you everything you need to learn to sew. It’s time to start enjoying the fulfilling hobby of sewing and getting your hands into your first sewing project. I suggest buying a low-end to mid-end sewing machine as your first sewing machine. You can spend $2,000 on a sewing machine, but it’s overkill for someone just getting started with sewing. You’ll find that I’ve written a lot of reviews that can help you find just the right machine for your needs. Once you have your machine, you can move on to the next section. You must familiarize yourself with your sewing machine. Since I don’t know what type of sewing machine you own, I recommend reading through the user manual thoroughly. The manual will help the person new to sewing learn and understand how the machine works. Beginner machines don’t have an excessive number of features, so they won’t overwhelm you when getting started. Find the on/off switch. Every machine has an on/off switch to help you get started. Knobs. Adjust your knobs to learn what they do. One knob will move the sewing needle up and down, another may change the stitch type, others may adjust stitch length and width. Light. Most machines have a light that will illuminate your workspace. Locate these lights. Pressure Foot. Locate the pressure foot and learn how to adjust or remove it. The foot is found near the needle. Also locate the lever that pulls the pressor foot up. Bobbin. The bobbin may be a drop-in, and if you’re lucky, it will be easy to setup. This will be covered in your manual. Again, I really encourage you to read through your sewing machine’s manual to get a good feel for how your machine works. 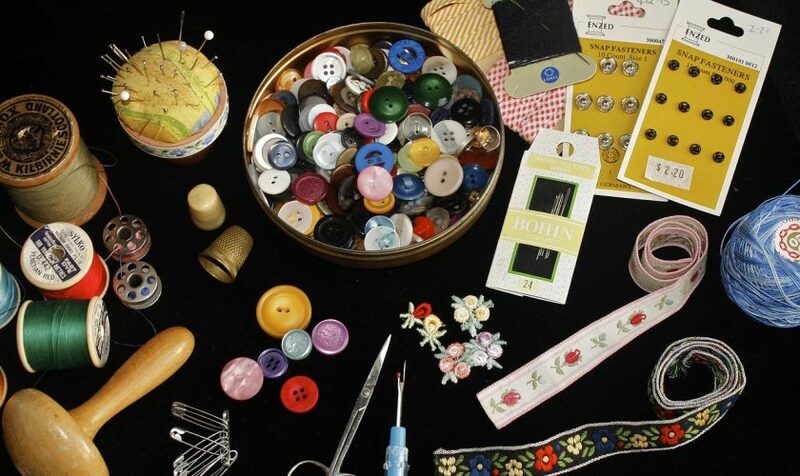 When getting started sewing, there are a lot of essentials that you’ll need. The basic essentials include items that will be with you all the time when sewing, and you may even keep some of these items in your sewing machine’s compartments. Scissors – a must-have for cutting thread and fabric. Pins and lots of them. Seam ripper to grab those pesky little threads. Thread is a must. Either grow your collection by project or buy a thread kit with many colors. Measuring tape to measure your fabric. Fabric to get started, and scraps of fabric are great for practicing, too. Needles are a must, and while your sewing machine may have come with one or two, you’ll want to buy more. But if you start with just the basic items, you can buy most of the others on a need-by-need basis. Eventually, you’ll have a lot of extra items and materials to help you through sewing projects. Keep in mind that you’ll acquire a lot of fabrics as you go along, so start your collection out small and grow from there. You’ll want to stick to patterns for beginners. Yes, there is something amazing about sewing your own designer dress, and it’s a fulfilling feeling to finally complete such a project. But if you start with a project that is too overwhelming, you’re going to be very disappointed. Sewing isn’t as easy as people make it look. Yes, the easy patterns are less intricate, ornate and fun, but they’re still a great way to get started sewing. 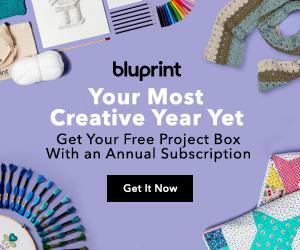 I highly recommend snooping around on Pinterest because there are countless sewing projects listed. Trust me – I get lost on Pinterest a lot. You need to do one thing: start sewing. I know it can be a daunting task for the first few projects, but the only way you’re going to truly master the art of sewing is by actually doing it. You should dedicate a few hours per week to your sewing if you really want to sharpen your skills. Once you have the basics down, you can move into harder projects, like making jackets or jeans. When in doubt, crack open a book or go on YouTube to find videos to help you through the beginning stages of sewing.